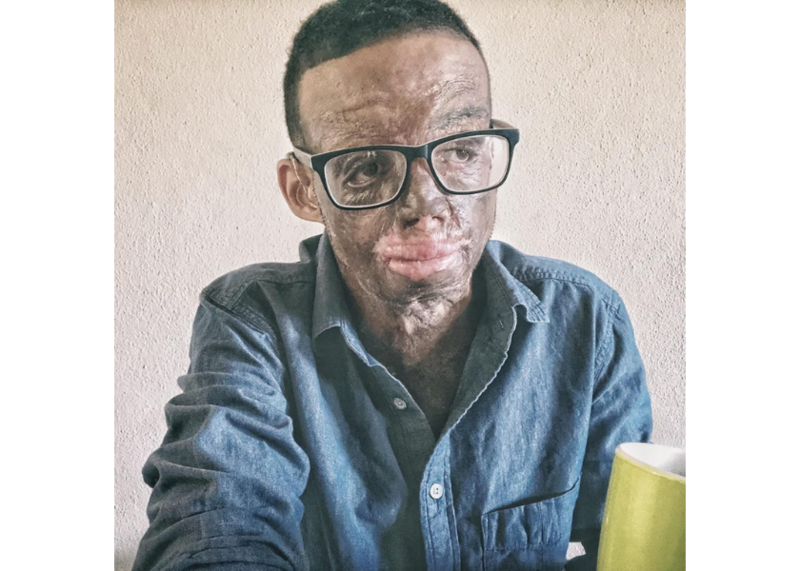 Dejon Simmons is a Bermudian who is well known for his strength and inspirational manner, which allowed him to overcome a horrific, life­ changing ordeal. Since recovering from burns to 97% of his body, Dejon has evolved into a multi-­talented creative being, using his hardships as the core definition that has developed him into the ever shifting medium he is today. A six-time “Best of Bermuda Award” winner with over a decade of experience in digital multimedia, Dejon has tactical drive and collaborative assertion that have carefully crafted him into becoming an innovative leader in Bermuda media. 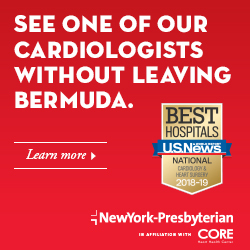 In 2012 he created the popular Bermudian digital platform BERMEMES, which quickly became a pillar in the island’s media landscape, changing the way Bermuda broadcasted information. 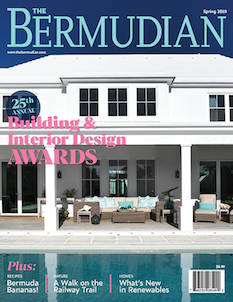 With its unique flair for highlighting all things Bermudian, BERMEMES became the first social media brand that has garnered thousands of followers both locally and overseas. Dejon specialises in Social Media, Content Creation, Brand Development and Strategic Content Marketing, and he has had the opportunity to collaborate and execute creative digital campaigns with many well known Bermudian brands. Some of these include; The Bermuda Government, Bermuda Tourism Authority, Bermuda Development Agency, One Communications, Digicel, Goslings, and various other small Bermuda businesses. 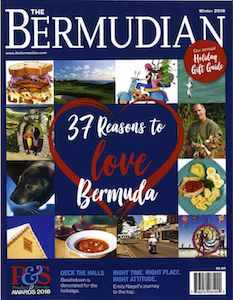 What is your favourite Bermudian tradition? Where is the best place for a fish sandwich? It may be a bit biased, but mine will always be Art Mel’s, just based on memories growing up… plus the sandwich is well! Where is the best place for sushi? I prefer Beluga Bar in the mall. The staff have always been friendly and welcoming, plus its an easy location to catch up with meetings or friends over good food. What’s the most Instagram-worthy place in Bermuda? Besides any significant sports match or holiday – “Back of Town” is a natural, “in your face” unseen beauty, thanks to the aesthetics of the architecture, the brilliant colours, history and vibrancy of the village. My second pick would be St George’s, which is almost identical to above. “Leap and the net will appear.” – My old college counselor had that staple quote pinned to the corkboard behind his desk and during trivial times he would often point backwards towards it. Eventually I realized the message. Also, Respice Finem – keep the end in view. My ability to read people easily and adapt, reinvent under pressure. I’m too accepting, welcoming, naive or too nice. People tend to undermine me based on my appearance. My mind really. The waves of ideas, subject matter, content and things I haven’t completed yet. Things I still wish to do. The crux or construct of time I have, and have left to use. My nightmares/flashbacks. What’s the biggest obstacle you’ve overcome? I call it “the cliff” – some may know it as the wall. That gap in between where you’ve almost completed something substantial. That “what if” moment before breakthrough. What’s your favourite thing to do on Sunday? How long have you been in Bermuda? Astwood Cove – my family homestead is near and I spent most of my time there with my grandmother. Who was your favourite teacher as a child? My health teacher, Ms. Smith at the time. Her way of teaching was easy for me to digest and comprehend. What’s in your wallet right now? Don’t own a wallet. Pointless in a digital era. Do you ever get island fever? Not entirely. There are many ways to retreat and find peace in Bermuda. We just have to find our own mediums or secret spot of solitude…. where we can drink coffee in peace. What’s your favourite thing in your office? My daughter. She makes me break away from work and enjoy a moment or two with her sometimes. It kind of balances out the tension with projects. What’s your favourite thing at home? Family. Having someone there for you. Somerset. Is this really a question? What podcast are you listening to right now? Retro movies. Weird trashy cult films.